Objective. To study the pathogenetic significance of genetic and acquired thrombophilia and improve the principles of prevention of preeclampsia. Materials and Methods. 65 patients were examined, who were divided into 2 groups: I group consisted of 35 women – pregnant women with repeated episodes of preeclampsia in the present pregnancy, in the II group consisted of 30 primigravida women with preeclampsia during the current pregnancy. Results. Pathogenetically substantiated prophylaxis with low molecular weight heparin, vitamins and antioxidants in patients with preeclampsia and multigenic thrombophilia in early pregnancy has improved during gestation and perinatal outcomes in pregnant women. This was significantly better outcomes have occurred in patients who were treated with early pregnancy and childbearing cycle. Conclusion. Early (antenatal) diagnosis, prevention and differentiated pathogenetic therapy can not only prevent the development of obstetric complications, and, consequently, reduce maternal mortality and morbidity, and improve perinatal outcomes in patients with various forms of thrombophilia. Pathogenic prevention of recurrent episodes of preeclampsia should be based on prevention of manifestations of pro-inflammatory status and genetic thrombophilia. 1. Ailamazyan E.K., Mozgovaya E.V. Preeclampsia. theory and practice [Gestoz teoriya i praktika (in Russian)]. Moscow. 2008; 272 s.
2. Bitsadze V.O. The pathogenesis, principles of diagnosis and prevention of complications of pregnancy, due to thrombophilia. MD diss. [Patogenez, printsipy diagnostiki i profilaktiki oslozhnenii beremennosti, obuslovlennykh trombofiliei. Diss. …dokt. med. nauk (in Russian)]. Moscow. 2004; 271 s.
3. Itkina JI.B., Mozgovaya E.V. Trudnyi patsient. 2008; 8: 20-29. 4. Kudinova E.G., Momot A.P., Trukhacheva N.V. The analysis of the effectiveness of thromboprophylaxis among pregnant women with mesenchymal dysplasia. PHARMACOECONOMICS. Modern pharmacoeconomics and pharmacoepidemiology. 2014; 7 (2): 14-18 (In Russian.). 5. Makarov I.O. The functional state of the system mother-placenta-fetus gestosis. MD diss. [Funktsional'noe sostoyanie sistemy mat'-platsenta-plod pri gestoze. Avtoref. diss. …dokt. med. nauk (in Russian)]. Moscow. 1999; 32 s.
6. Makatsariya A.D. Antiphospholipid syndrome [Antifosfolipidnyi sindrom (in Russian)]. Moscow. 2000; 373 s.
7. Makatsariya A.D., Bitsadze V.O. Thrombophilia and antithrombotic therapy in obstetric practice [Trombofilii i protivotromboticheskaya terapiya v akusherskoi praktike (in Russian)]. Moscow. 2003; 904 s.
8. Matveeva T.E. Questions pathogenesis and prevention of fetal loss syndrome in pregnant women with thrombophilia. PhD diss. [Voprosy patogeneza i profilaktiki sindroma poteri ploda u beremennykh s trombofiliei. Diss. …kand. med. nauk (in Russian)]. Moscow. 2002; 131 s.
9. 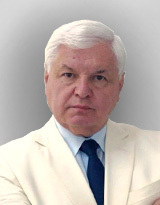 Malyshenko A.O. Immune Biochemical markers of systemic inflammatory response in pregnant women with preeclampsia. PhD diss. [Immunobiokhimicheskie markery sistemnogo vospalitel'nogo otveta pri gestoze u beremennykh. Avtoref. diss. …kand. med. nauk (in Russian)]. Novosibirsk. 2005; 24 s.
10. Mal'tseva L.I., Zamaleeva R.S., Nikogosyan D.M., Cherepanova H.A. Ginekologiya. 2005; 7 (2): 88-89. 11. Perederyaeva E.B., Pshenichnikova T.B., Andreeva M.D., Makatsariya A.D. The pathogenetic mechanisms of development of preeclampsia in women with metabolic syndrome. Akusherstvo, ginekologiya i reproduktsiya / Obstetrics, gynecology and reproduction. 2015; 3: 54-65 (in Russian). 12. Peresada O.A., Pisarenko E.A. Meditsinskie novosti. 2007; 10: 47-50. 13. Repina M.A. Pre-eclampsia and maternal mortality [Preeklampsiya i materinskaya smertnost' (in Russian)]. SPb. 2005; 207 s.
14. Serov V.N. Eclampsia [Eklampsiya (in Russian)]. Moscow. 2002. 206 s.
15. Sidorova I.S., Makarov I.O., Solonitsyn A.N., Borovkova E.I. Akusherstvo i ginekologiya. 2009; 3: 38. 16. Solonitsin A.N. The clinical significance of angiogenesis markers to determine the severity of preeclampsia. PhD diss. [Klinicheskoe znachenie markerov angiogeneza dlya opredeleniya tyazhesti gestoza. Avtoref. …kand. med. nauk (in Russian)]. Moscow. 2008; 24 s.
17. Strizhakov A.N., Davydov A.I., Musaev Z.M. Preeclampsia: diagnostics, obstetric tactics and intensive care [Gestoz: diagnostika, akusherskaya taktika, i intensivnaya terapiya (in Russian)]. Moscow. 2007; 79 s.
18. Sukhanova L.P., Yusupova A.N., Glushenkova V.A. Zdravookhranenie Rossiiskoi Federatsii. 2009; 14: 14-19. 19. Sukhikh G.P., Murashko JI.E., Van'ko JI.B., Milovanov A.P. Preeclampsia. Manual ed. Acad. RAMS GT Sukhikh, prof. Murashko [Preeklampsiya. Rukovodstvo pod red. akad. RAMN G.T. Sukhikh, prof. Murashko (in Russian)]. Moscow. 2010; 576 s.
20. Shifman E.M. Pre-eclampsia, eclampsia, HELLP-syndrome [Preeklampsiya, eklampsiya, HELLP-sindrom (in Russian)]. Petrozavodsk. 2003; 432 s.
21. Azizieh F., Raghupathy R., Makhsecd M. Maternal cytokine production patterns in women with pre-eclampsla. Am J Reprod Immunol. 2005; 54 (1): 30-37. 23. by Cambridge University Press. 2006. 24. Borzychowski A.M., Sargent I.L., Redman C.W.G. Inflammation and preeclampsia. Seminars in Fetal & Neonatal Medicine. 2006; 11: 309-316. 25. Bowen R.S., Moodley J., Dutton M.F., Theron A.J. Oxidative stress in pre-eclampsia. Acta Obstet Gynecol Scand. 2001; 80 (8): 719-725.144. 26. Braekke K., Harsem N.K., Staff A.C. Oxidative stress and antioxidant status in fetal circulation in preeclampsia. J. Pediatr. Res. 2006; 60 (5): 560-564. 27. Bussen S. Influence of the vascular endothelial growth, factor on the development of severe pre-eclampsia or HELLP syndrome. Arch. Gynecol Obstet. 2010; 24-32. 28. Chamy V.M., Lepe J., Catalán A., Retamal D., Escobar J.A. Oxidative stress is closely related to clinical-severity of pre-eclampsia. J. Biol. Res. 2006; 39 (2): 229-236. 29. Davison J.M., Homuth V., Jeyabalan A. et al. New aspects in the pathophysiology of preeclampsia. J. Am. Soc. Nephrol. 2004; 15: 2440-2448. 30. Hertig A., Liere P. New markers in preeclampsia. Clin. Chim. Acta. 2010; 411 (21-22): 1591-1595. 31. Kulkarni A.V., Mehendale S.S., Yadav H.R., Kilari A.S. et al. Circulating angiogenic factors and their, association with birth outcomes in preeclampsia. J Hypertens Res. 2010; 33 (6): 561-567. 32. Lewis DF., Canzoneri B.J., Gu Y., Zhao S., Wang Y. Maternal levels of prostacyclin, thromboxane, ICAM, and VCAM in normal and preeclamptic pregnancies. Am J Reprod Immunol. 2010; 64 (6): 376-383. 33. Liu Q., He J, Dong MY. Lou Clinical features and prognosis of early-onset preeclampsia. Zhejiang Da Xue Xue Bao Yi Xue Ban. 2005; 34 (6): 506-509. 34. Lopes L., Jacob G.P. Thrombophilia testing in pregnancy: should we agree to disagree? J Perinat Med. 2014. 35. Mutter W.P., Karuman-chi S.A. Molecular mechanisms of preeclampsia. J Microvasc. Res. 2008; 75 (1): 1-8. 36. Ouyang Y.Q., Li SJ., Zhang Q., Cai H.B., Chen H.P. Interactions between inflammatory and oxidative stress in preeclampsia. J Hypertens Pregnancy. 2009 Feb; 28 (1): 56-62. 37. Sibai B.M. Diagnosis, Prevention, and Management of Eclampsia. Obstet Gynecol. 2005; 105 (2): 402-410. 38. Tsatsaris V., Fournier T., Winer N. Pathophysiology of preeclampsia. Ann Fr Anesth Reanim. 2010; 29 (3): 13-18.